During 1886 and 1887 when the house was under construction, John and Frances Glessner spent considerable time shopping for countless items for their new home, from fireplace fittings to rugs, and textiles to tiles. 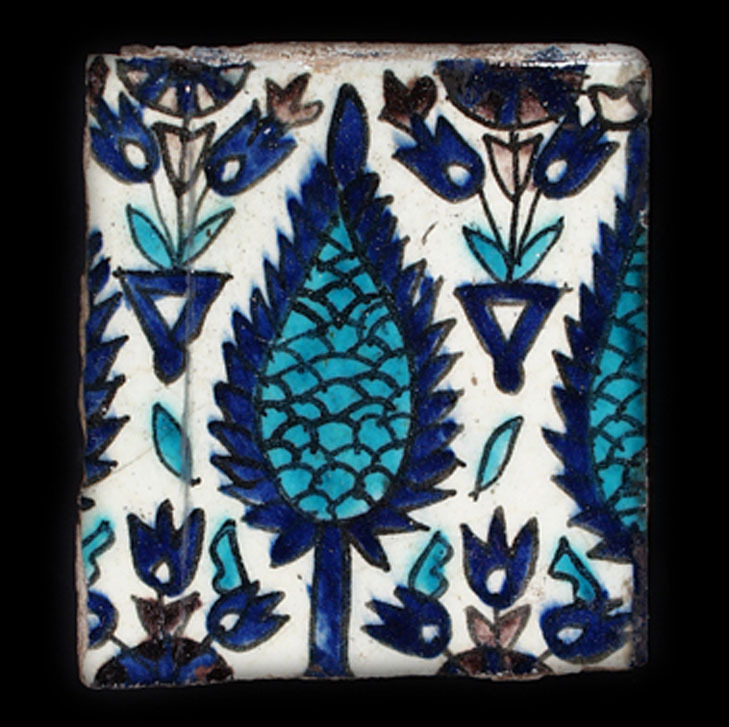 One of the most interesting items they acquired was a set of Iznik tiles for the dining room fireplace. 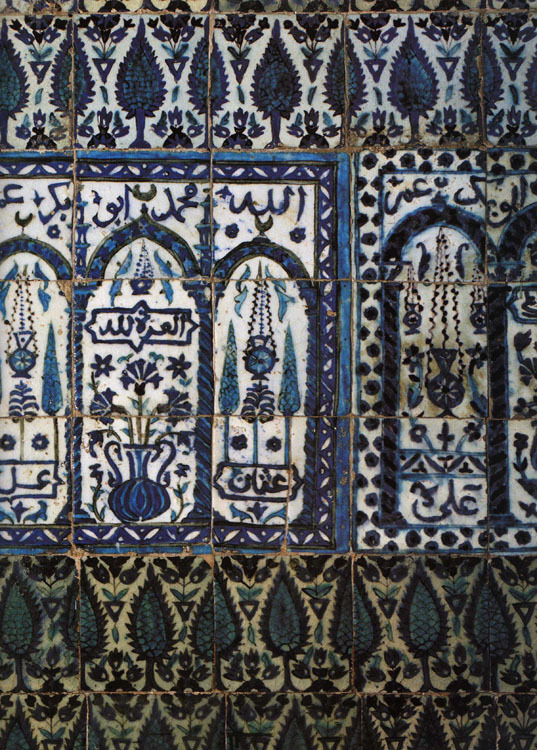 (The name Iznik derives from the city in Turkey where the tiles were made). In 1886, during a trip to New York, Frances Glessner records in her journal: “We went Thursday morning to hunt up tiles. We found some beauties at Lockwood de Forest’s.” Lockwood de Forest (1850-1932) was an important figure in the American Aesthetic Movement, largely remembered today for introducting East Indian crafts to America. He was born into a wealthy family that encouraged the study and pursuit of the arts; his older brother Robert Weeks de Forest served as president of The Metropolitan Museum of Art in New York for seventeen years. Lockwood de Forest studied painting with his great uncle Frederic Edwin Church and enjoyed moderate success. By the late 1870s however, he turned his attention to decoration and architecture, becoming a partner in the design firm of Associated Artists, along with Louis Comfort Tiffany, Samuel Colman, and Candace Wheeler. His travels took him to the Middle East, North Africa, and most importantly British India, where he developed a passion for local craftsmanship. He opened a workshop in India, which produced architectural elements and furniture. After Associated Artists closed in 1882, de Forest opened his own company, which was hugely successful, supplying decorative items and architectural elements to such clients as Andrew Carnegie, Charles Tyson Yerkes, Mark Twain, and Potter Palmer. In later years he built a home at Santa Barbara, California where he resumed painting actively. He died there in 1932. 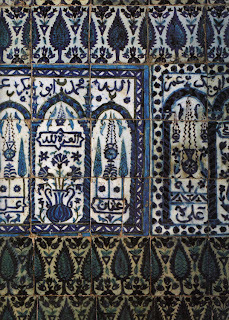 The tiles that the Glessners purchased from de Forest for their dining room fireplace were among the many objects that he acquired and shipped to the U.S. for his American clients. He apparently owned quite a few tiles in the design that the Glessner selected, for they appear in at least two other houses with which he was connected, including his own home in Santa Barbara (where they are used on a fountain in an outdoor courtyard). Correspondence between de Forest and the Glessners indicates that they bought the remaining tiles of this particular design that he had in his shop. The tiles, which measure roughly eight inches square were made in Iznik region of Turkey in the middle part of the 16th century. They were installed in various locations throughout the Middle East including the tomb of Muhi al-Din Ibn ‘Arabi in Damascus (see above). Polychromatic schemes were developed during this middle period of Iznik pottery making using seven colors in various combinations – blue, purple, red, green, turquoise, grey, and black. The body of the tiles is fritware, a composite paste material made from quartz sand mixed with small amounts of finely ground glass (frit) and clay. When fired, the frit melts and binds the other components together. The tile was then coated with a thin layer of white slip, a liquid clay mixture, similar to the fritware paste, but more finely ground and purer in composition. The tile was lightly fired to dry it out, and then painted with pigments mixed with frit. The wares were then glazed with a lead-alkaline-tin glaze and fired to a transparent sheen. 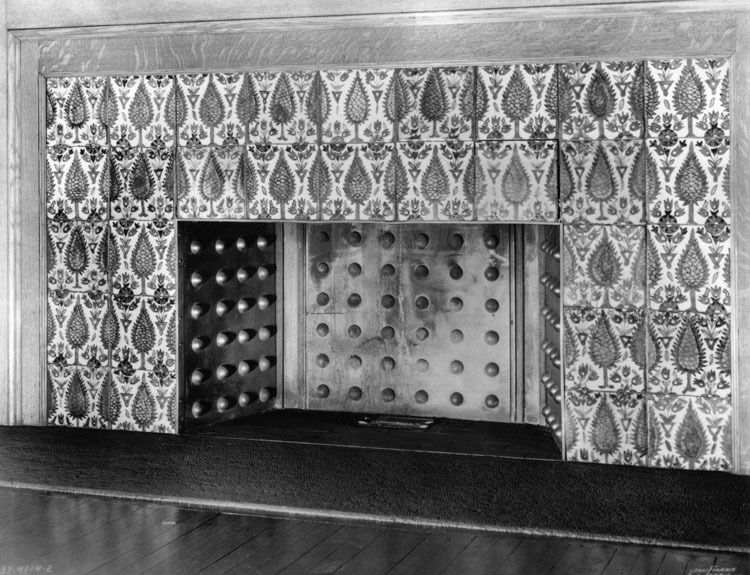 After the Glessners died in the 1930s, their daughter, Frances Glessner Lee, had the tiles removed and reinstalled on a fireplace at the “cottage,” her home at The Rocks estate in New Hampshire. They remain at the cottage today, but are promised to the museum and will be returned once sufficient funding is in hand to remove them and reinstall in the dining room. At present, only two original tiles are on the fireplace, distinguishable by their slightly darker color. 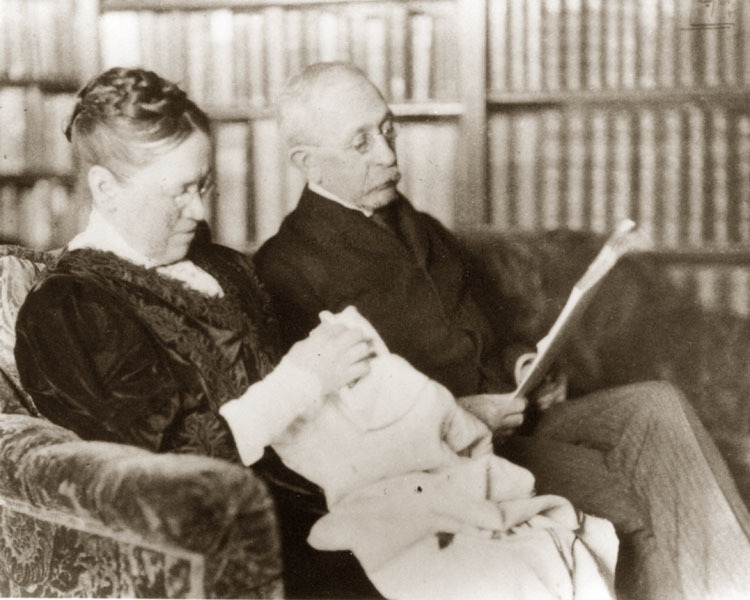 They were a gift of Frances Lee’s daughter, Martha Lee Batchelder. All the other are reproductions created in the 1970s by artist Paula Garrett Ellis. A third original tile is displayed on the plate rail in the main hall, a gift from Dr. Edward Gamson of Washington D.C., who acquired it from an employee of Armour Institute, which occupied the Glessner house at the time the tiles were removed in the 1930s.